The Visitation Monastery in Brooklyn will have its first traditional Latin Mass since the post-Conciliar liturgical reform on Monday, August 21, starting at 7:30 p.m. The monastery is located at 8902 Ridge Blvd. 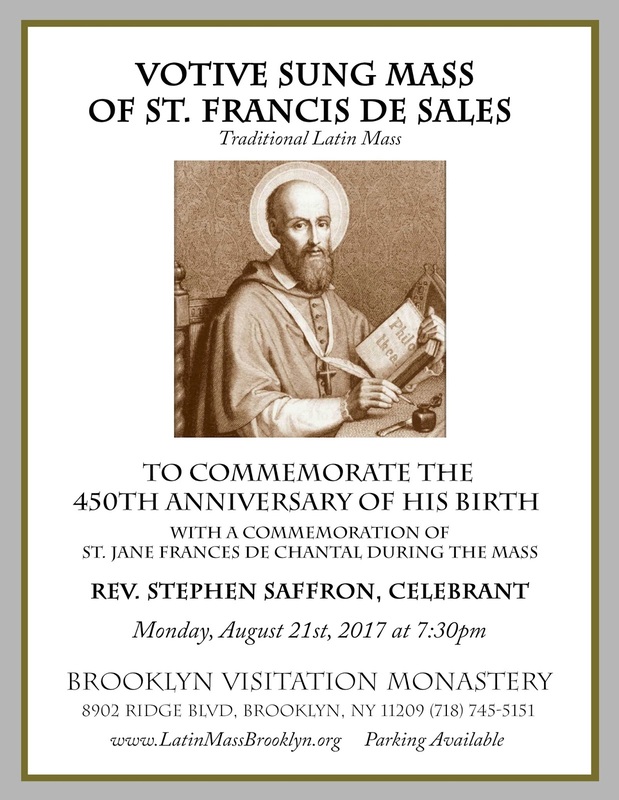 It will be a Sung Votive Mass of St Francis de Sales, co-founder of the Visitandine Order, on the 450th anniversary of his birth, with the commemoration of the other founder, St Jane-Frances de Chantal, on her traditional feast day.